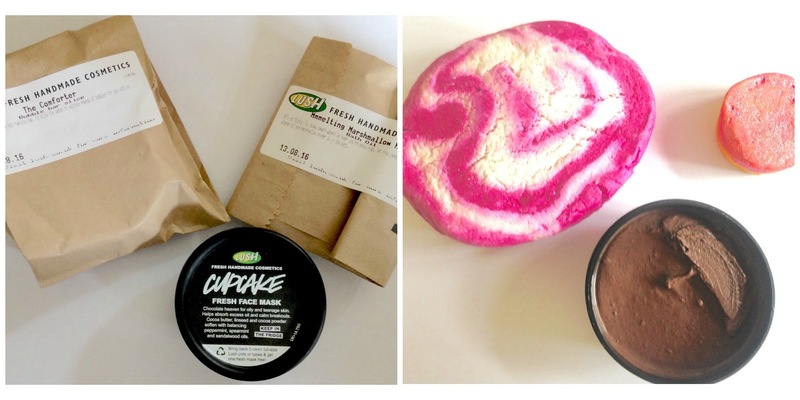 Today my other half treated me to a few little things from LUSH. It has been ages since I had a little LUSH spree so obviously while I was in store I had to sniff everything I could get my hands on and make Rob do the same, as well as trying to get stuff on the end of his nose (we have all done it to someone, it can't be helped). 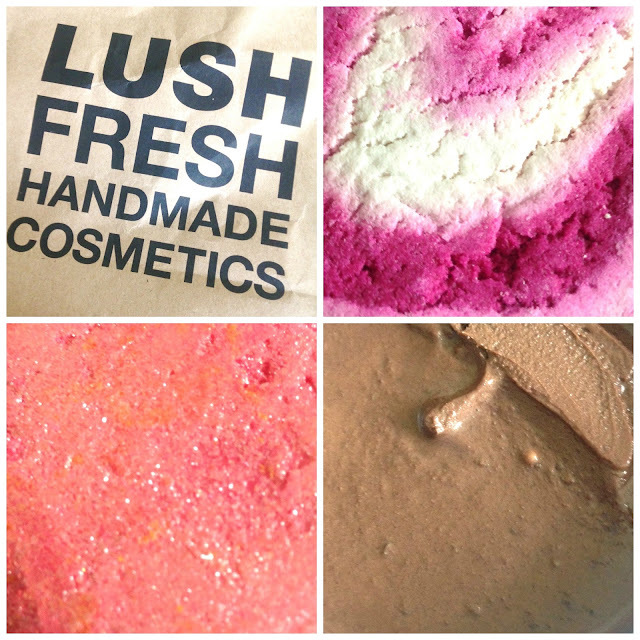 I chose two products I have used before, which I love, and one new product that I haven't seen or used before, but before I show you, I know a lot of you guys are LUSH fans so can you guess what I got from these close ups? 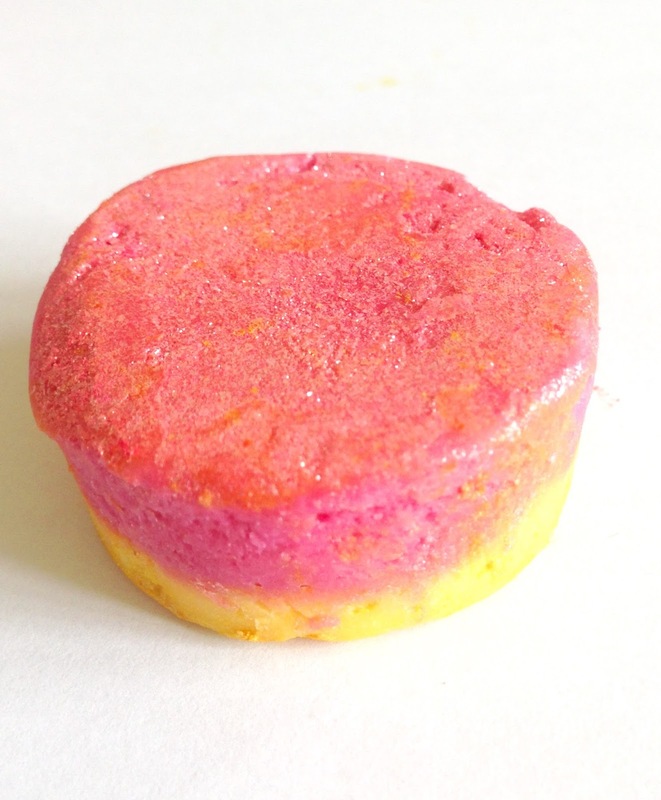 The Comforter Bubble Bar £4.95 - which I reviewed way back in 2014 HERE. "Sometimes you just need to shut yourself off from the outside world under a blanket of fruity foam that will put you back in the right frame of mind to face the world. This bar is supersized, so you’ll only need to crumble half a bar under your tap to make enough bubbles for a long, comforting soak. Cassis absolute gives a distinctive blackcurrant fragrance, while bergamot adds an uplifting note." Cupcake Fresh Face Mask £6.95 - I love this product, it's ideal for oily skin and smells like chocolate, what more do I need to say? "Rhassoul mud, which is highly absorbent, works with cocoa powder to draw out all the dirt and impurities and give a deep cleanse. Fresh mint stimulates and tones the skin, whilst linseed and cocoa butter soften and moisturise. Smooth a generous layer of this mask onto your face and leave for 10 to 15 minutes." Mmmelting Marshmallow Moment £2.00 - This is a brand new product to me so I am really looking forward to using it. You let this product melt in the bath and because it is packed full of essential oils it is supposed to leave your skin feeling silky smooth. The smell really reminds me of the old fashioned sweets pear drops - again, what more do I need to say, anything that smells edible is good for me! I am looking forward to a pamper evening this evening, face mask on, possibly a soak in the bath with one of the other products, lots of sweets and Saturday night TV - yes I am getting old, and you know what, I love it! I will review Mmmelting Marshmallow Moment in full once I have used it. Lovely haul, I bet it all smells delicious. I've used their bubble bars, really like them. Must invest in another one soon.